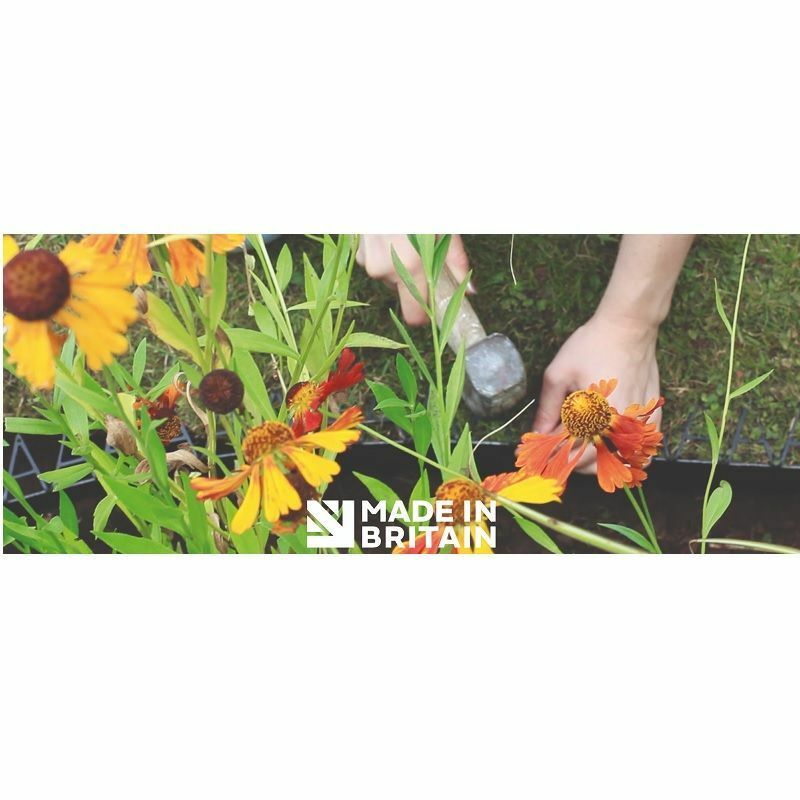 Being totally flexible it will fit any shaped lawn edge and once installed, removes the need to continually maintain lawn borders. 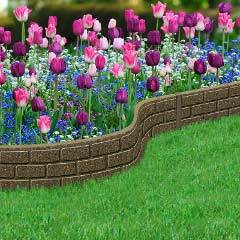 Made from UV and frost proof polypropylene it will not crack or fade. When installing you only need to pin every third or fourth frame.  This 5m pack has approximately 120 A sections and comes with 60 pins. 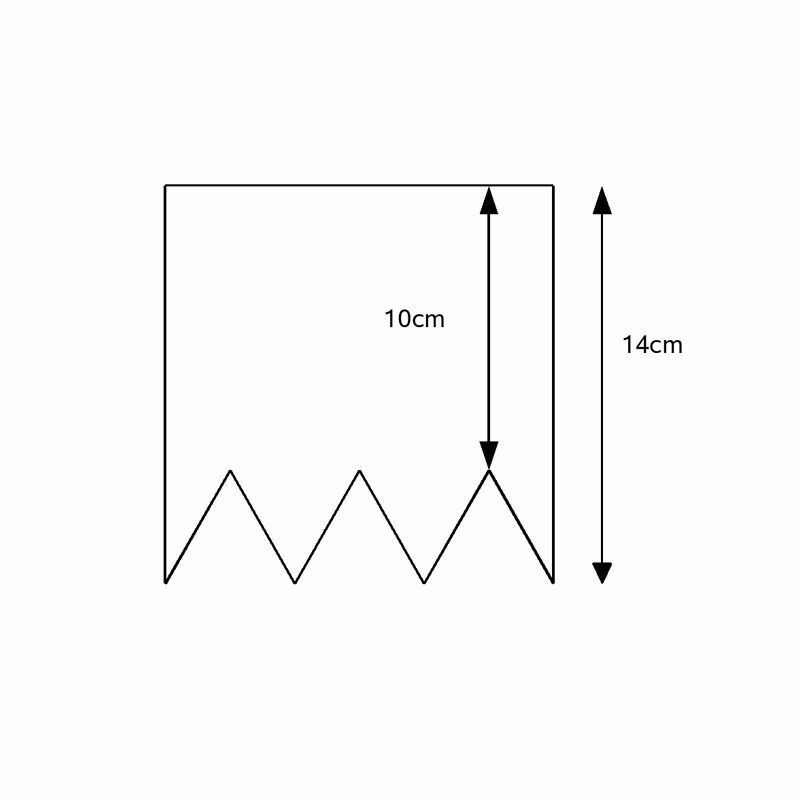 This 10m pack has approximately 240 A sections and comes with 120 pins. Made from UV and frost proof polypropylene it will not crack or fade. 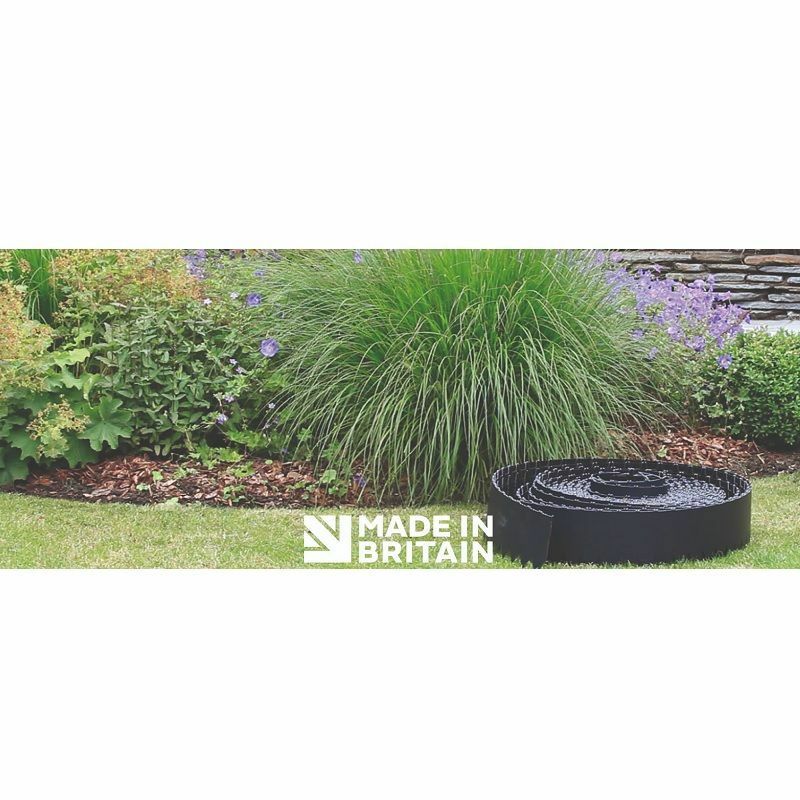 Supplied complete with instructions and biodegradable securing pins used to attach the edging whilst it binds into the lawn. When installing you only need to pin every third or fourth frame. This 50m pack has 1200 A sections and 450 pins. 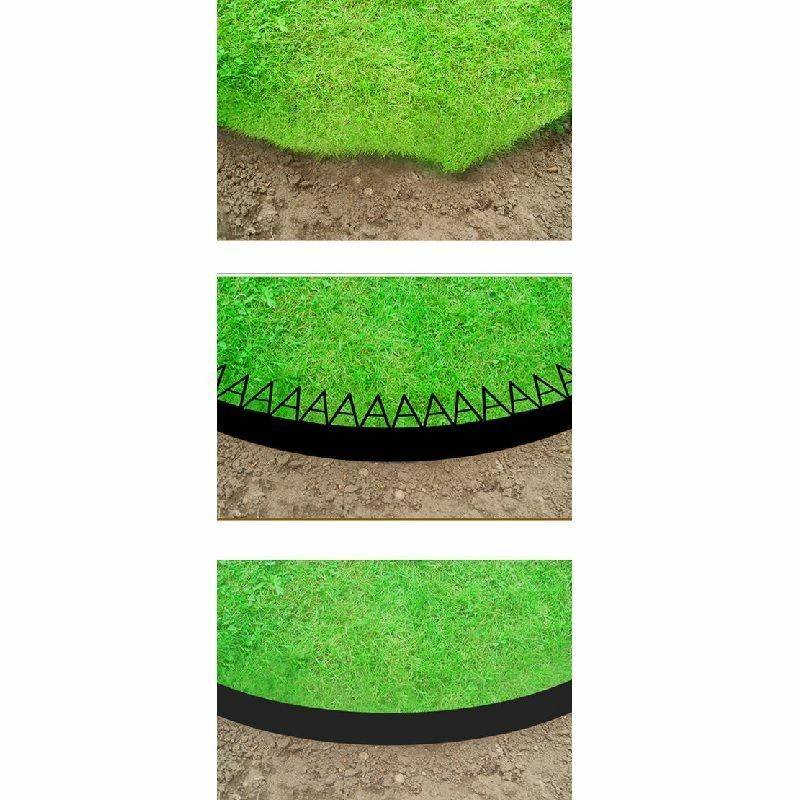 Smartedge is the easy way to create neat, shaped or straight lawn borders, it uses its patented A-Frame design to bind itself into the roots of the lawn itself as the grass grows through it, forming a permanent, structural, and maintenance-free barrier which you can mow straight over, right to the edge. Made from UV and frost proof polypropylene it will not crack or fade. Customer Note: In normal conditions it should only be necessary to pin every third or fourth A-frame. 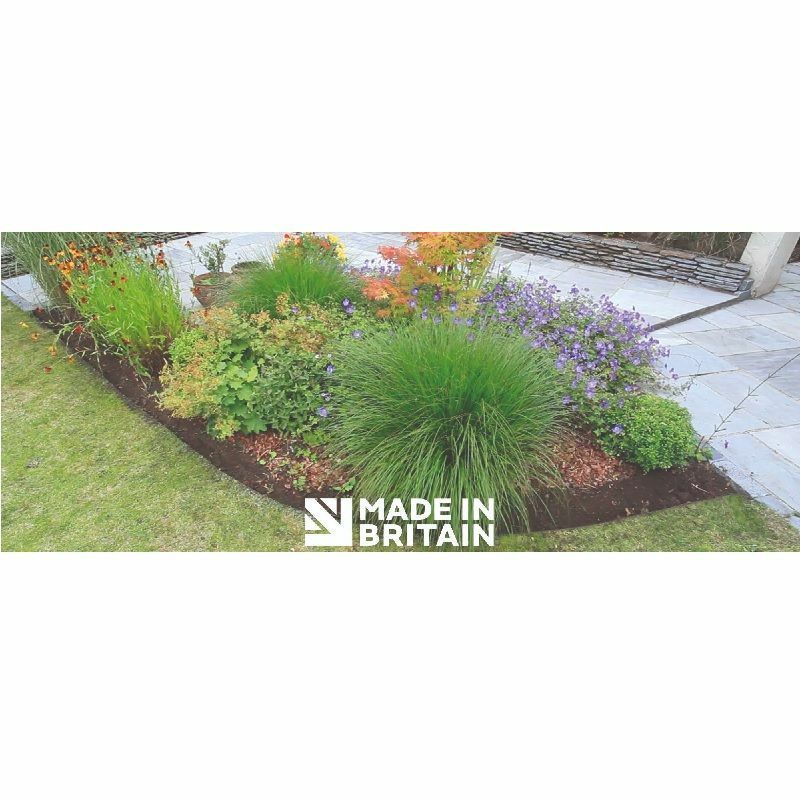 After using my 10m of Smartedge and being very pleased with the results, I purchased a further 5m roll for some more lawn edging ideas, generated by the first installation. 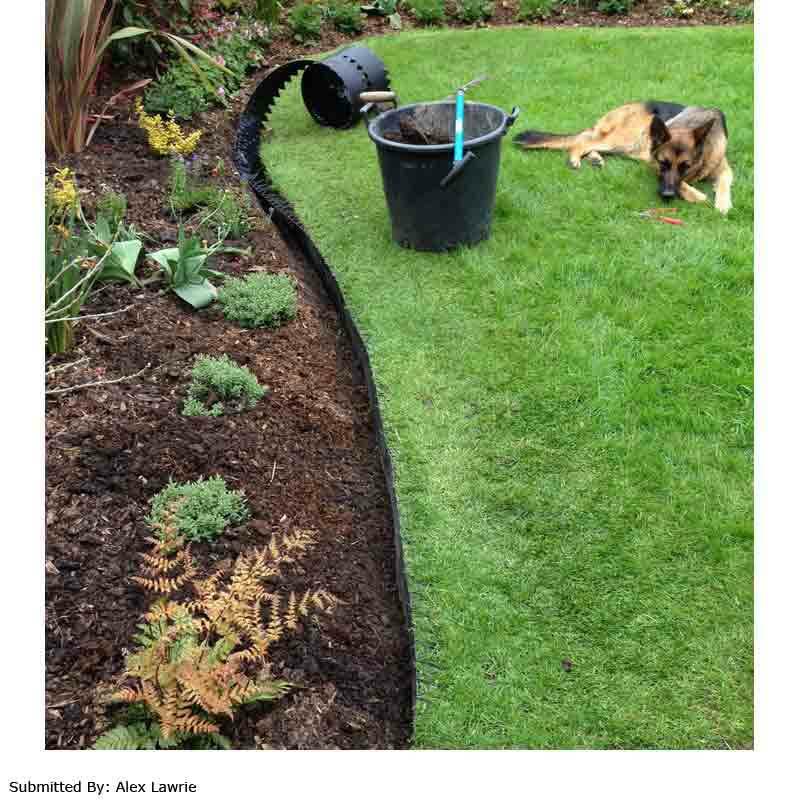 Overall, my 15m of lawn borders are now very smart and the product was a pleasure to work with. 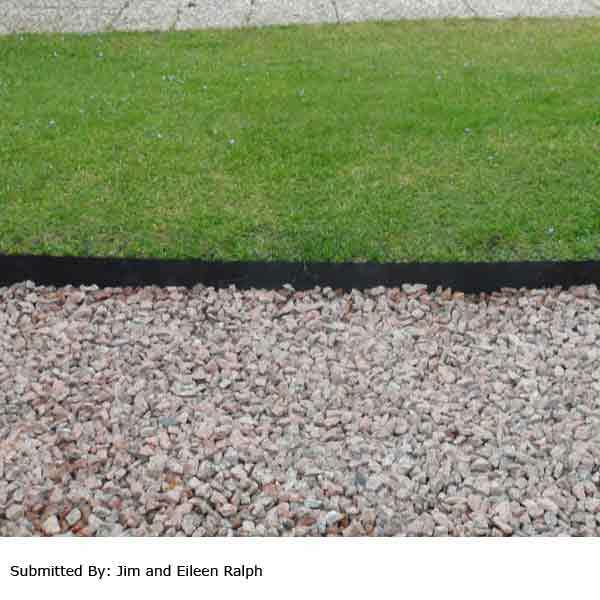 Very easy to fit once you have first given the lawn edge a good vertical edge. 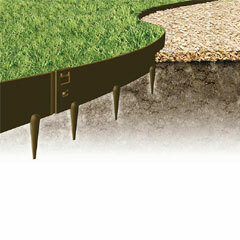 This allows the Smartedge to be tapped down into the soil and fitted without much hassle. 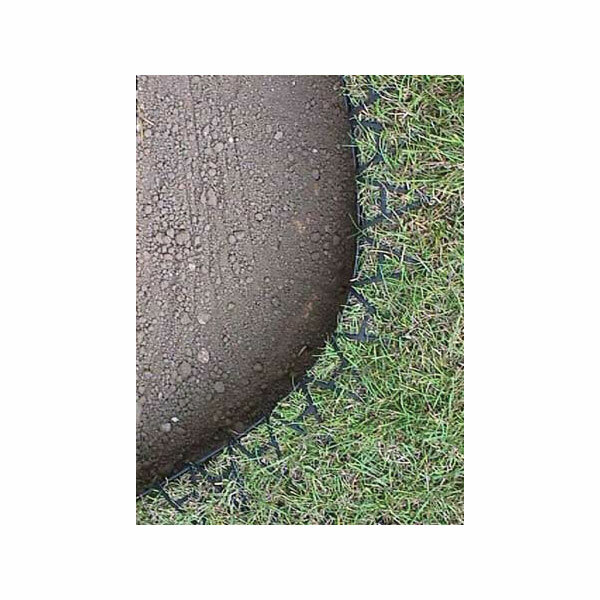 The A frames can be pinned into the soil fairly easily although a fair amount of pressure needs to be applied - it helps to twist the pins as you try to push them down into the soil - this allows the ridges on the pins to go through the holes in the A frames more easily. The product is very flexible and fits well around curves. I found there were plenty of pins in the packs I bought and actually had some spare. 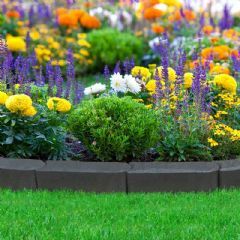 I am equally happy with the service I received from 'Greenfingers' and the product I bought. The item arrived well packed, within the expected time-frame and is of good quality. 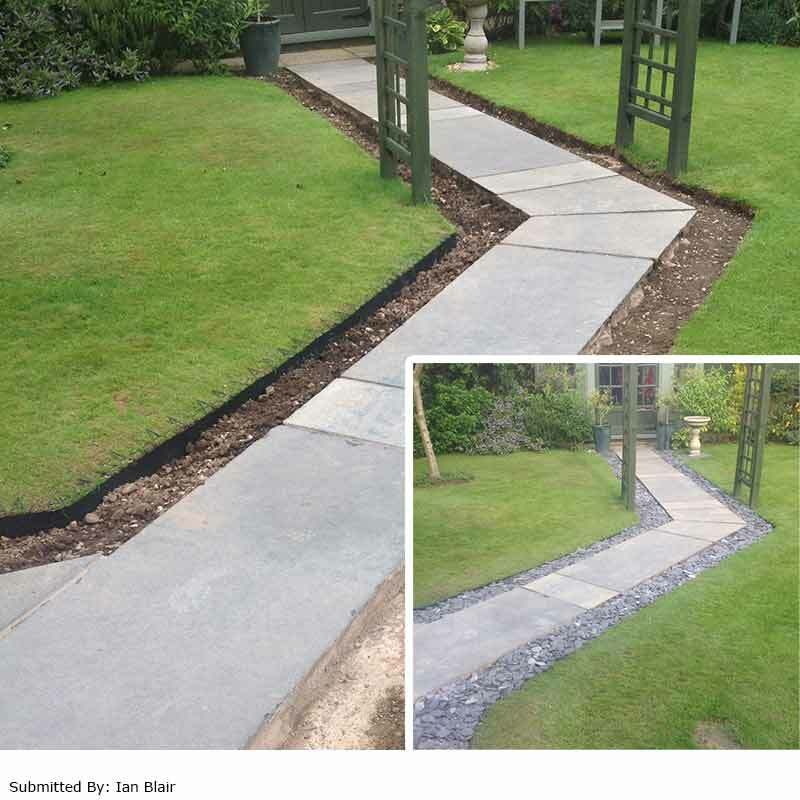 It is not too difficult to use - we have very stony ground and although some of the pins were a little difficult to push down, they didn't break and a little manipulation soon solved the problem. Makes a nice edge, just what we wanted. Found it easy to lay and cut. Initially had difficulty getting the pins through the holes but a short rub with some abrasive paper for each pin removed the surplus burring on the plastic extrusions and the pins popped through and stayed put. Very pleased with result. 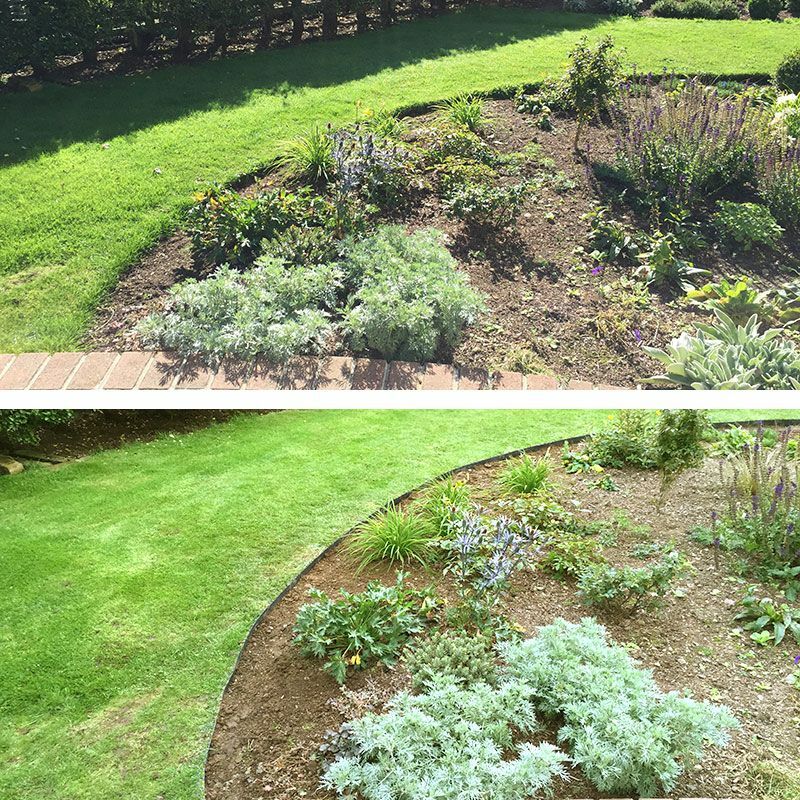 Smartedge has transformed the look of my garden. 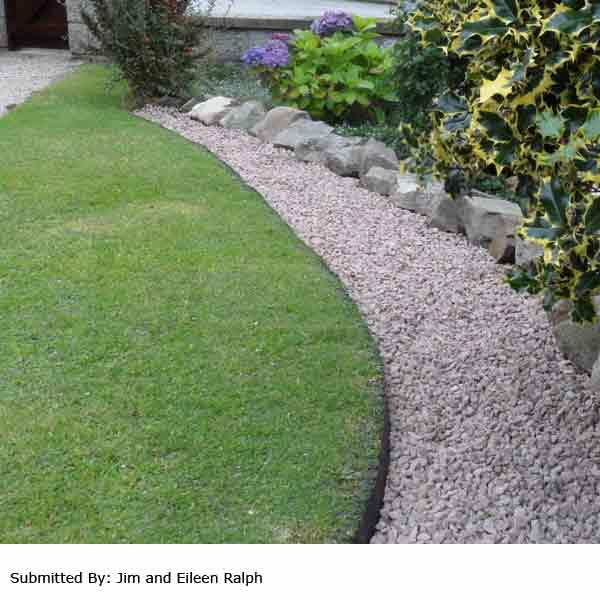 Border areas to lawn edge look neat. Easy to install and does exactly what I wanted! I'm ordering more! A great product. Looks like it will last for ever around my lawn. 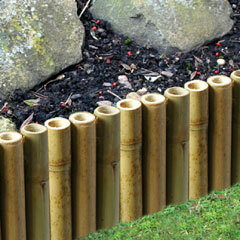 We have very stony soil and I was surprised and pleased that the pegs went in as easily as they did. 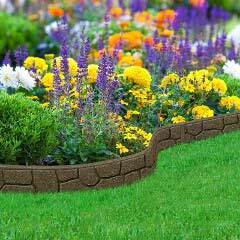 Great product has made a lovely job of my lawn edge. It was hard work but I managed to do it myself and I am really pleased with result. I did watch video before ordering. Make Maintaining Edges So Easy! Excellent product. 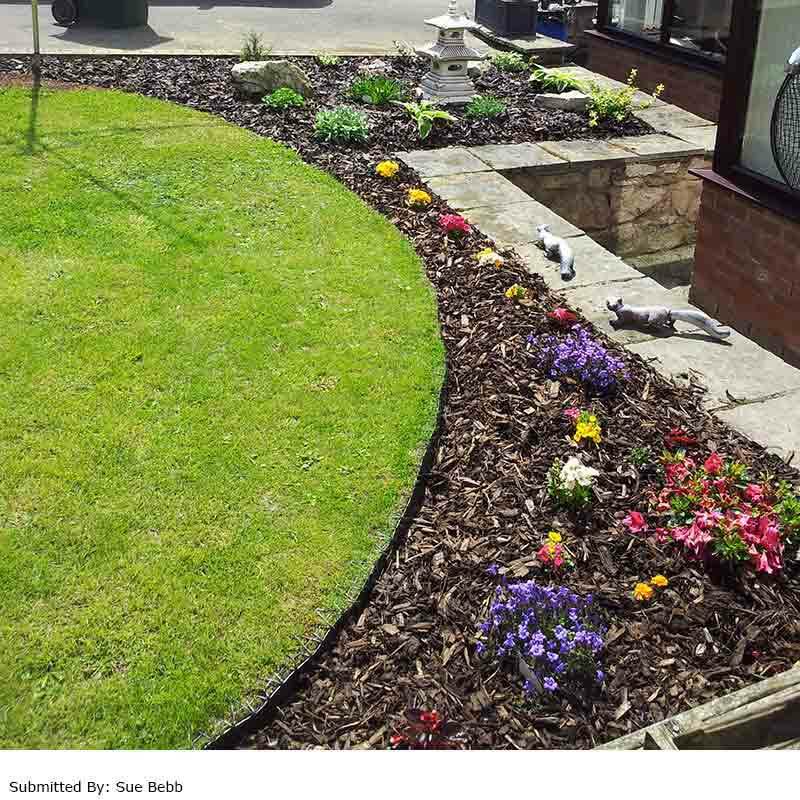 Even this novice has managed a beautiful job!